The outline below is the core structure of a full Masters Black Corporate Experience. We will work with clients to tailor the event to ensure specific requirements are met. Participants arrive at an agreed location and start by paying respects to the day ahead. The Masters provide a brief history of themselves, the training to follow and details of the true meaning of Kung Fu and Chi Kung! Everyone is then taken on a journey of mental and physical balance through teachings from both Masters. This is achieved through “Focus in Motion” – a series of thousand year old practices based on deep breathing exercises and physical moves, which when correctly performed leads to the desired state of “Kung Focus“. 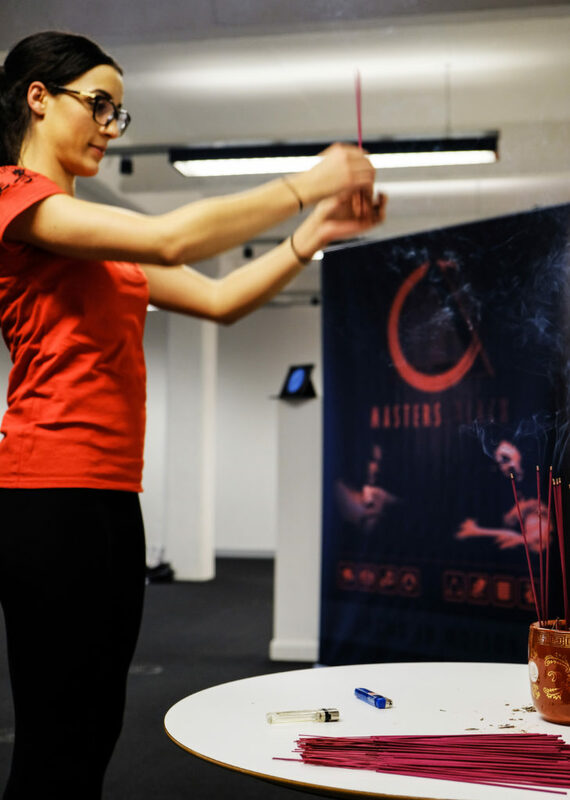 We take them through a unique Masters Black form – a sequence of moves which are designed to create ultimate focus and balance which can be used as a tool to manage the stresses of today’s society. Participants are then taken through a number of Kung Fu-based drills which supports leadership and communication, team work and co-operation. 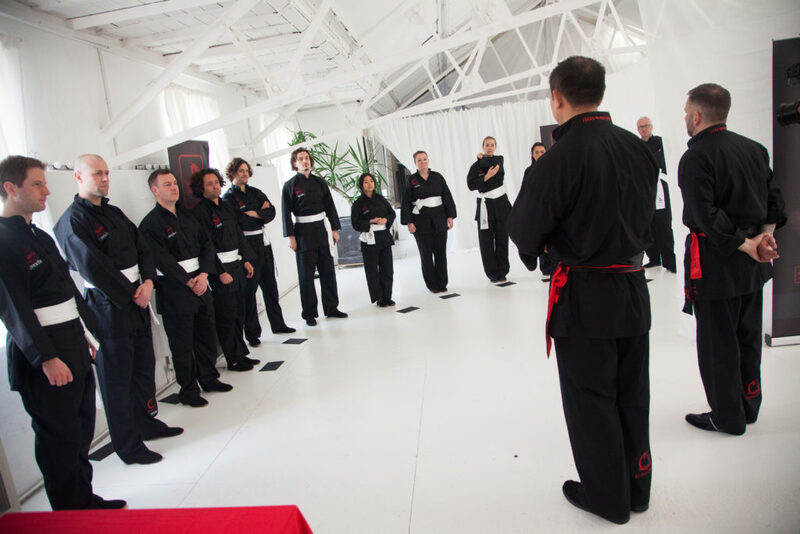 Throughout the day, participants will gain an insight into the lives of two Kung Fu Masters with over 60 years experience in training and teaching along with demonstrations of their skills. The day draws to a close with tailored challenges and ends with paying of respects. Techniques to support stress, anxiety, insomnia and depression. Techniques to promote self belief and confidence, mindfulness, mental focus and emotional resilience.